Today we witnessed the most beautiful and unconditional love. Rex the héroe dog, a member of our family risked his life and took three gunshots as he protected his human best friend , his master, his brother while their house got vandalized with them inside. 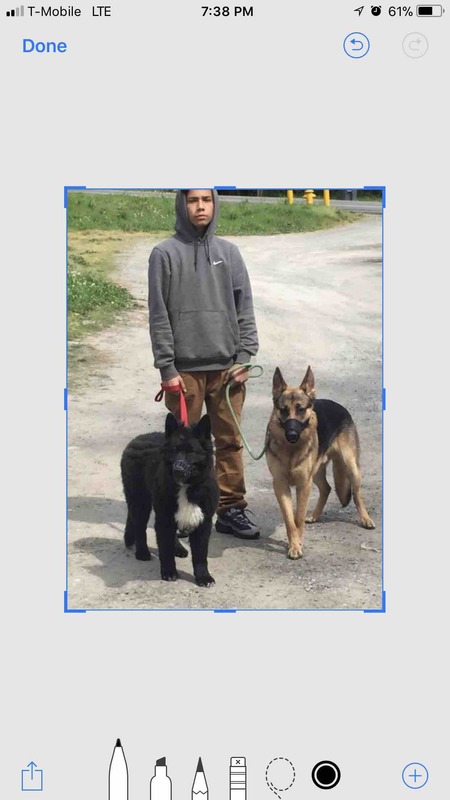 Today mid afternoon my cousin Julia Cadena’s house was broken into by two lowlifes who terrorized my 16 year old nephew ( Julia’s son) and his German Sheppard, Rex. My nephew hid in the bedroom closet as he frightened, held as hard as he could to his barking Dog. 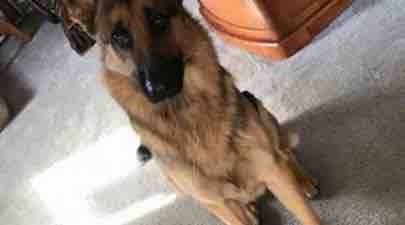 Rex’s instinct to protect his home and his best friend, took him downstairs and he attacked the burglars. Both of the burglars struggled and beat him up with whatever they could. Rex stormed back to the upstairs floor all beat up and bloody from the beating to check on his master who was still hiding in the closet. Soon, the burglars proceeded to the upstairs floor and trashed all the bedrooms. As they entered the room where my nephew was hiding in the closet, Rex came out with the little strength he had left in him and threw himself at them as he knew my nephew was in danger. Sadly they shot Rex 4 times and finally Rex, the héroe dog gave up in his battle. It was the sirens who scared them away. My nephew was protected by his eternal friend until the last bit of strength he had in him to do what his unconditional, loving instinct told him to. Rex’s life depends on a surgery he will need to survive. My cousin Julia Cadena has already paid a big sum of money as Rex needed a lot of scans and X-rays and other urgent medicine work up to stabilize him. Every dollar helps. Please, our family can not let Rex the hero dog go without us fighting as hard as he did, to his very last bit of a strength while protecting my nephew. Thank you for your help. Unfortunately Rex is suffering from post traumatic stress and his personality and behavior has definitely been affected. The family wanted to give all of you who have donated to this cause or simply have been following the story, that Rex has been schedule to see a Vet psychologist. The initial Visit will be - little more than $400 and then $100 every week. 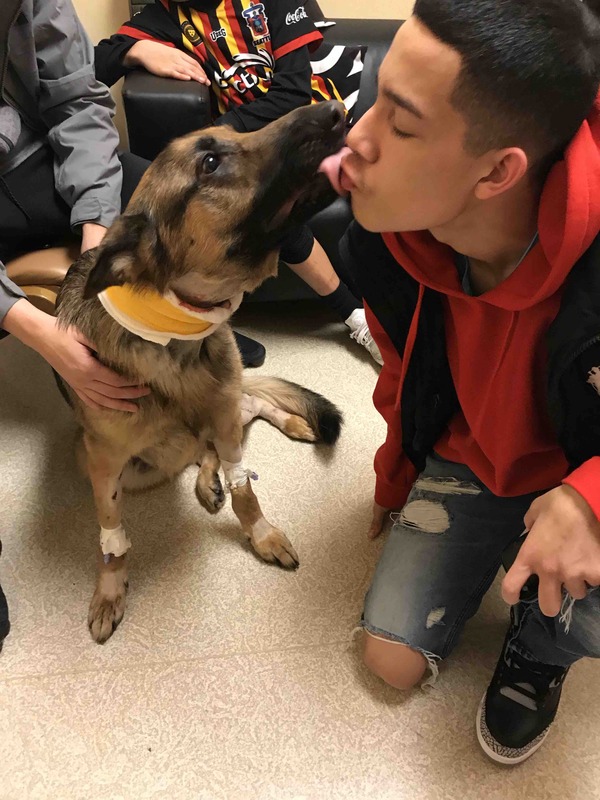 We know many of you have been wondering where all the extra money will go to and the family is still taking many suggestions in consideration but want you to know that Rex’s medical expenses have not yet been accounted for since there’s still a lot to do for him. We read everyone’s comments and it would be impossible to respond to all. We understand there will always be mixed opinions but we focus on anything and anyone positive. We have repeated in many ocassions that is no longer necessary to donate but many of you have continued to do so and we appreciate it greatly. We also have repeatedly stated that we are looking at different organizations to donate to. But we also want you to know that the family has not had any access yet to the funded money. We will continue to update you on this story. Rex has been offered a recognition for bravery from PETA and The German Shepherd Dog club of America would like to recognize him as Hero of the year. We will share the details of this events as soon as we have all the information. Thank you once again and God bless you and yours. Hello everyone the Mercado Cadena family need to find a place to move into ASAP with enough space for Rex. Please send any information that can help my cousin Julia Cadena find a new home in the king county area.